Bring your laptop or Ultrabook new life and invest to upgrade its hard drive. Supplementing or replacing classical plotnového disk with a new SSD Kingston SSDNow MS200 get a substantial portion of the extra performance. Thanks to the ever-decreasing price of SSDs, it is the best and most effective upgrade computers with free mSATA slot, which greatly speeds up the response of the entire operating system. Breathe new life into your notebook or ultrabook and invest in it by upgrading its hard drive. Replacing the classic hard disk with the new Kingston SSDNow mS200 SSD disk will give your device a substantial performance boost. The steadily falling prices of SSD disks make them the best and most effective upgrade solution for computers with a free mSATA slot, considerably shortening the response times of your entire operating system. This SSD disk uses the popular and extremely fast LSI SandForce memory controller. Thanks to its fast NAND memory chips, it reaches read and write speeds of up to 540MB/s and 530MB/s respectively. This makes the SSD up to 10 times faster compared to classic hard drives and guarantees shorter loading times for games played in high resolution, as well as a lightning-fast response when working with multimedia and other large files and plenty of other benefits for people who work with a wide range of professional software applications. Because it does not have any moving parts, the SSD can withstand stronger shocks than a conventional hard drive. Reading and writing has a substantially lower power consumption, thus generating much less heat. Like all Kingston products, the Kingston SSD disks undergo rigorous testing to ensure a level of quality and reliability that is typical for this renowned brand. 240 GB (0.24 TB) Done! 30 mm (3 cm) Done! 50.88 mm (5.09 cm) Done! 0.4 W (400 mW) Done! 6.86 g (0.01 kg) Done! 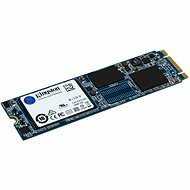 For shipping to other EU countries visit this page Kingston SSD 240GB SSDNow mS200. 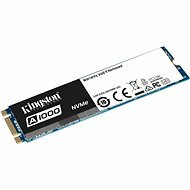 Für Versand nach Deutschland, besuchen Sie bitte SSD Festplatte Kingston SSD 240GB SSDNow mS200. Chcete doručit zboží do Česka? Prohlédněte si Kingston SSD 240GB SSDNow mS200. Chcete doručiť tovar na Slovensko? Prezrite si Kingston SSD 240GB SSDNow mS200. 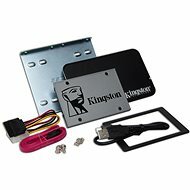 Für Versand nach Österreich, besuchen Sie bitte SSD Festplatte Kingston SSD 240GB SSDNow mS200. Magyarországra történő kiszállításért tekintse meg ezt a termékoldalt: Kingston SSDNow mS200 240 GB.